How did you first learn about post-graduate service? I was always aware of the positive impact of post-grad volunteering since my mom spent a year with the Jesuit Volunteers in Omak, Washington, but I became more consciously aware during my sophomore year I went on a fall break service trip to Birmingham to work with their Habitat affiliate. There one of the construction site supervisors was a guy I went to high school with back on Long Island who was a few years older. We pieced our connection together and from there I learned that he was spending a year after graduating volunteering through AmeriCorps. This was the interaction that made me aware that spending a year volunteering post-grad was an option apart from going straight to work or grad school. Not only that, but that trip, sponsored by Villanova Campus Ministry, challenged and motivated me in ways that showed me I wanted to learn and do more to meet people and serve communities. What other options were available to you, and why did you decide on your service program? 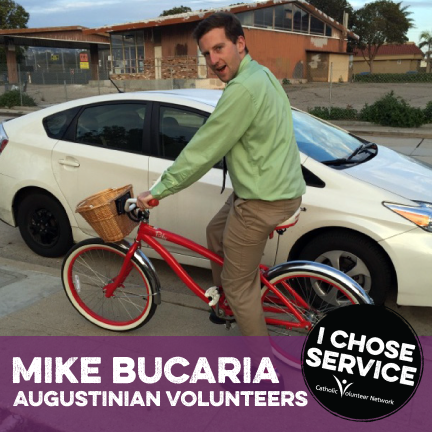 I applied to a few jobs and a few volunteer programs to keep my options open, but none of the opportunities I had seemed at all like a better choice than going with the Augustinian Volunteers. I was ultimately convinced that a volunteer year was the right choice because, through talking with friends who had also deliberated a volunteer year and family as well, I gained the perspective that a one year gap in between college and work was not as daunting as I initially thought. How long is a year? For me, I knew that as long as I did something worthwhile with my time there was no rush to get a job and just move into the seemingly endless phase of working life. And since doing something worthwhile was the baseline, I wanted to something incredibly worthwhile. And the Augustinian Volunteers allowed me to do that by living in community with other volunteers and engaging a community with meaningful service. Share about your service placement and volunteer community experience. Having a good time in Southern California is not challenging, but living in community with other 20-somethings can be. However, my community and I all fully leaned into this experience and knew that it was as instrumental to our service’s impact as our individual effort. We all wanted to live the same simple lifestyle and dive in at our service sites, and living with other people of the same mindset (not to mention budget) provided a strong context to the volunteer work itself. Plus, we experienced the positive and fun parts of our community together and not just the sections and subsets needing a little TLC, which gave us a more holistic look at our host city and our place in it. 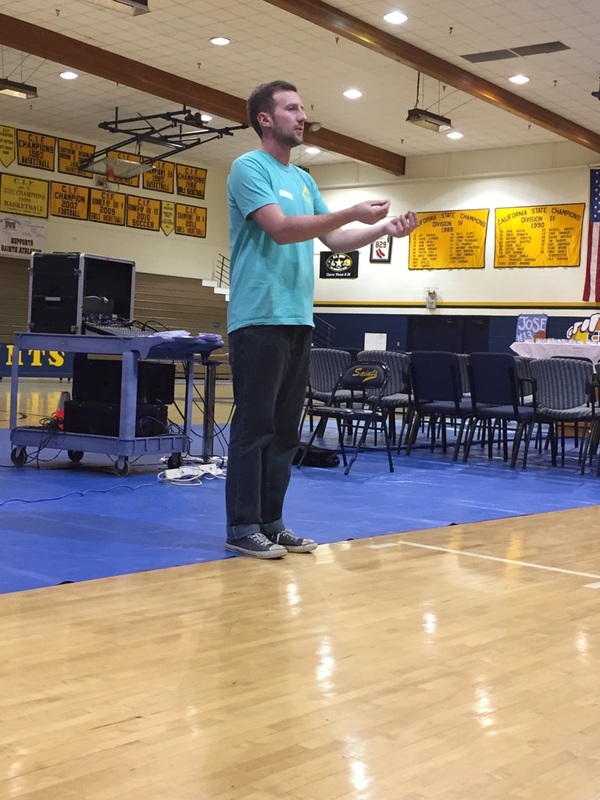 I worked at St. Bonaventure HS in Ventura, CA for their Christian Service program. I planned service projects, helped students find volunteering opportunities pertaining to their interests, and conducted reflections to help the students think about their experiences in different ways. But, volunteers always find new ways to get involved, and I also worked in Campus Ministry helping with retreats, with student events, and (my favorite) chaperoning trips and dances. The most impactful facet of my year was with Many Meals, a weekly opportunity to reach out to the community with dinner and the community of a dinner table. Even beyond bringing students, I found this experience unique because of the relationships volunteers could build with guests over the weeks. When I think about the aspects of my year so essential to my overall experience – living in community, being useful to the school, and connecting with both students and those we served – I cannot think about any one apart from the other. What benefits have you gained from this experience that you might not have received otherwise? The support of the Augustinian Volunteer program allowed my community and I not to be too bogged down in the challenges of moving to and living in a new city. Rather, we were able to work full time and treat our positions as they should be, with complete engagement. My first job was imbued with purpose, which is more than what a lot of people my age can say. My enjoyment also encouraged me to be more involved, which in turn increased my exposure to different professional areas of the work I was doing. But, most essentially, at three months out of college I was able to live with other young people but work in a diverse workplace, and that experience began my growth and prepared me for working alongside people other than other 23 year olds.